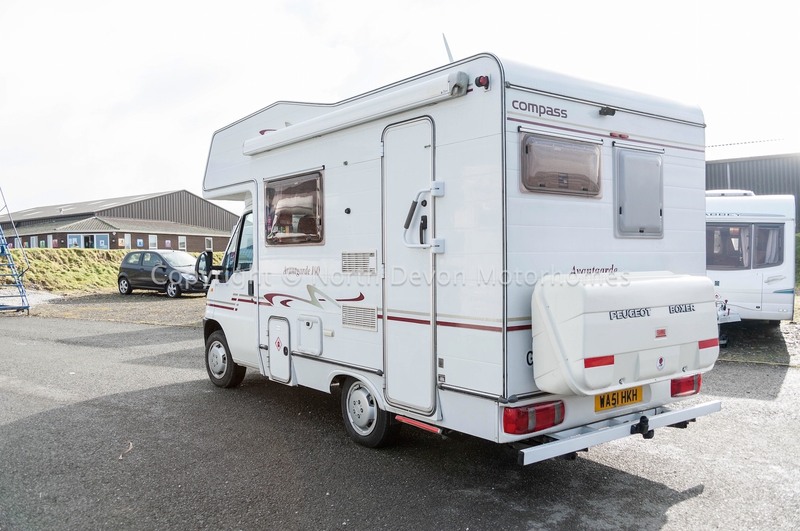 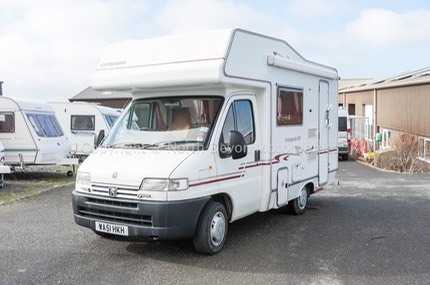 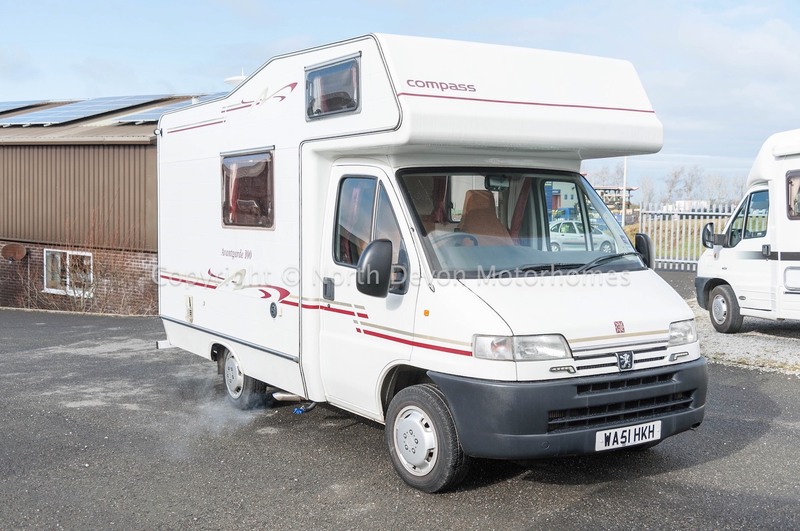 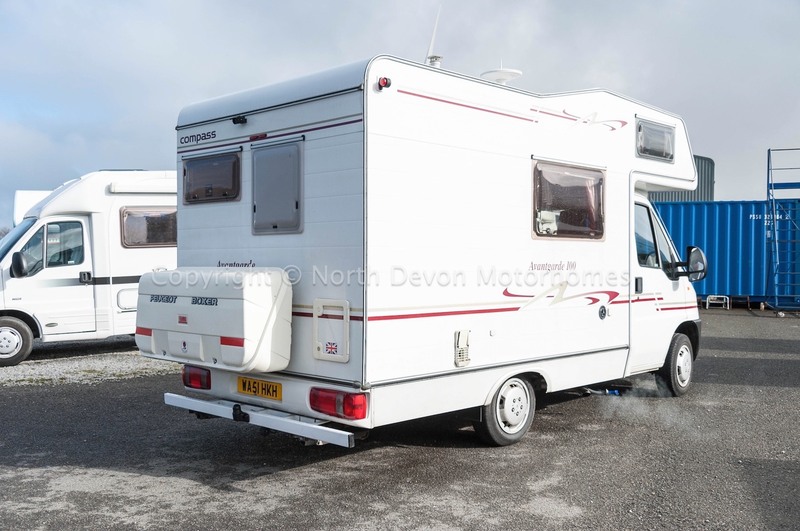 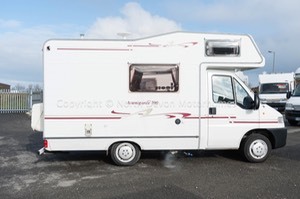 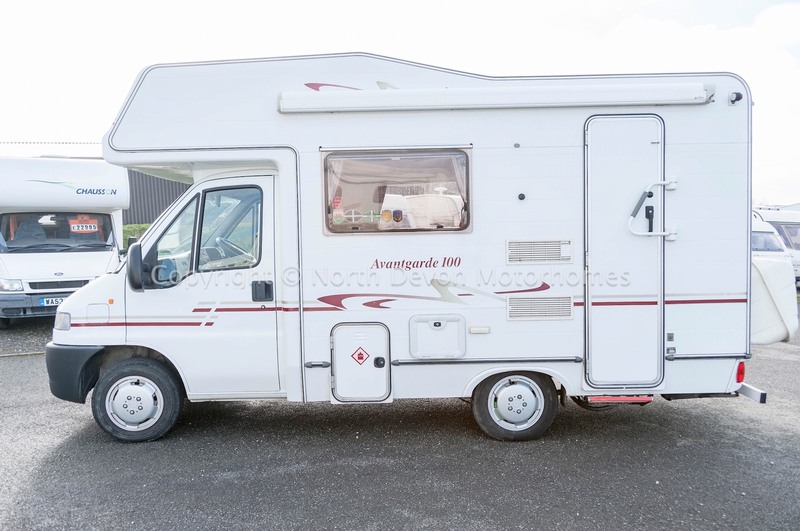 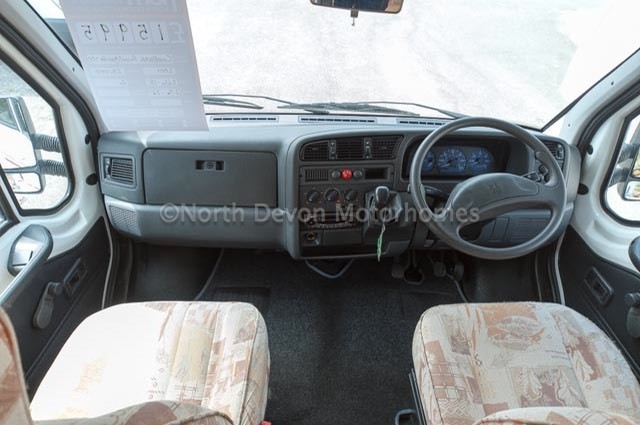 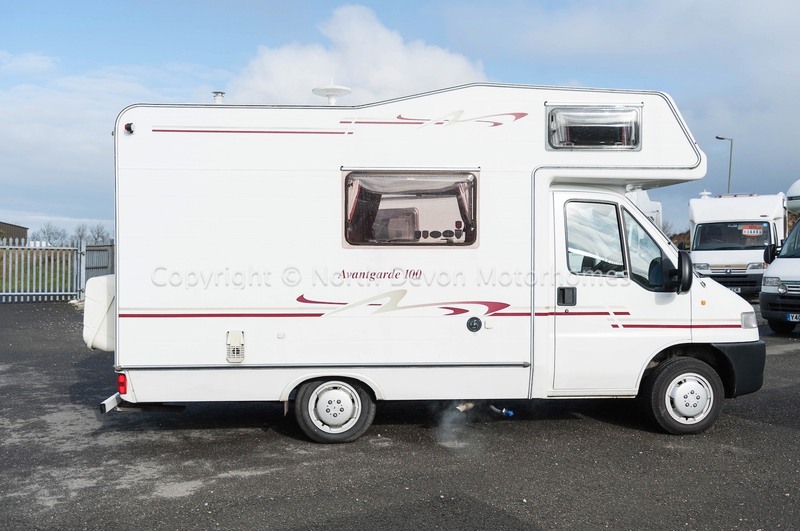 Compass Avantgarde 100 based on the trusted Peugeot Boxer 1.9 TD, showing just 26,500 Miles with Full Service History. Layout: End Kitchen and corner washroom, forward centre dinette with opposing bench seat, fixed double above the cab. 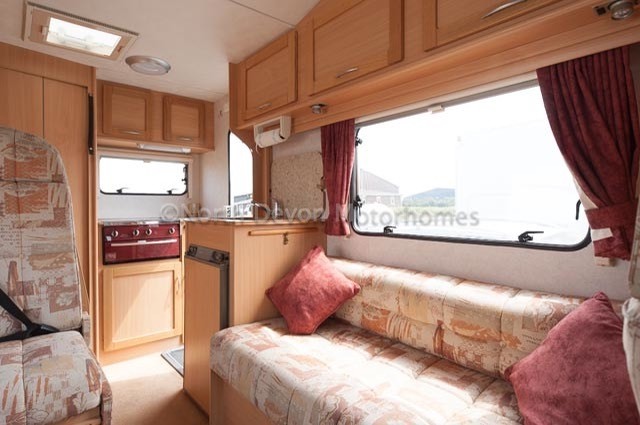 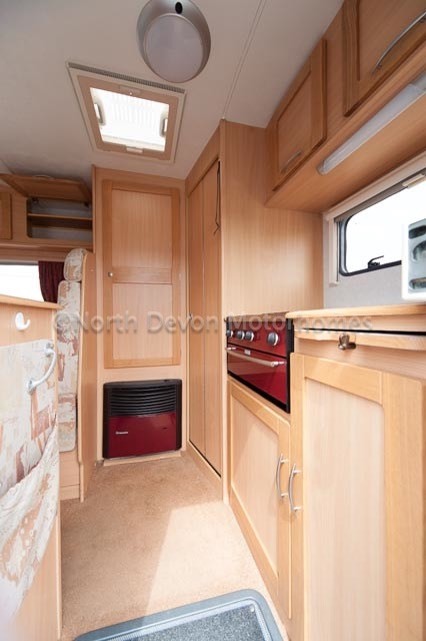 Sleeping: 4 berth with centre dinette forming either a large single or a double. Fixed double bed above the cab. Cab: Captain chairs, PAS, stereo in good order throughout. 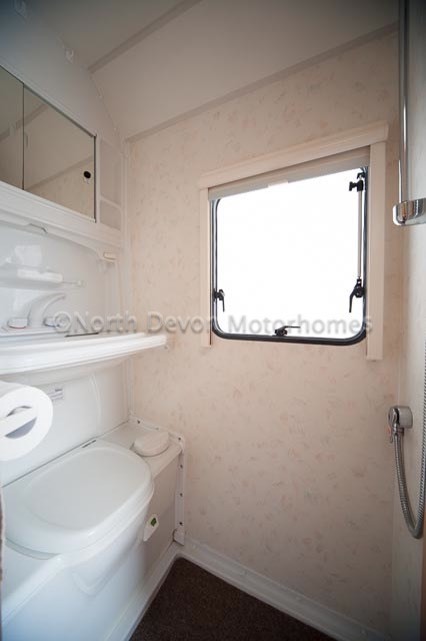 Washroom: Shower, cassette toilet, drop-down sink, mirrored vanity unit, obscure window, 12 volt light. 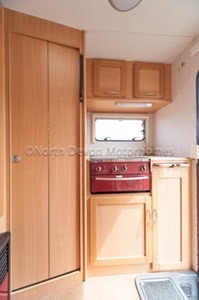 Kitchen: 3 burner hob unit, grill, 3-way fridge, sink/drainer, ample storage. 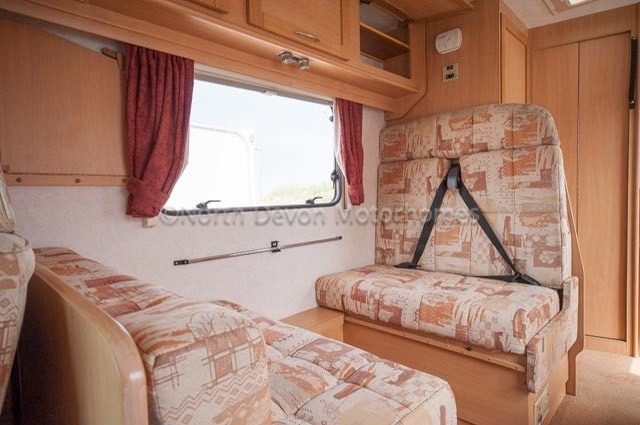 Lounge: Full Pullmans dinette with 2x forward facing 3 point seat belts. 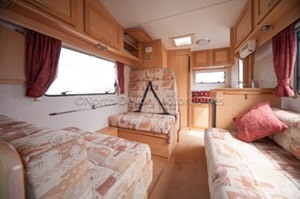 Opposing facing side bench seating. 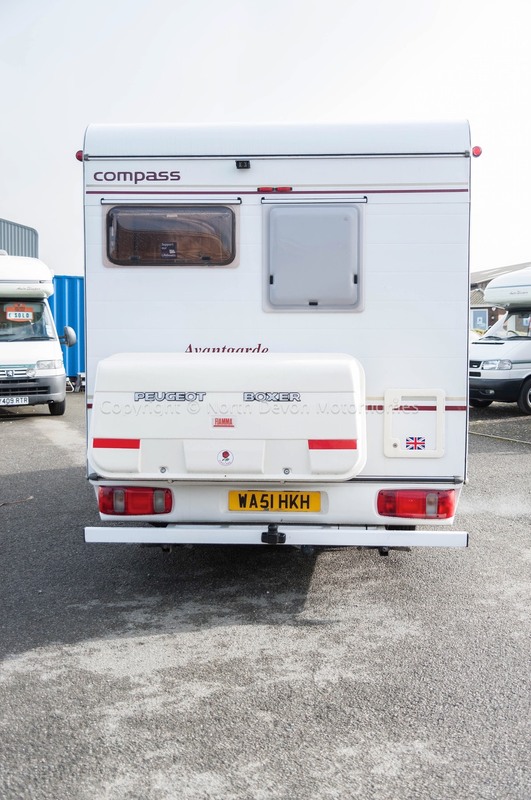 Storable freestanding table. 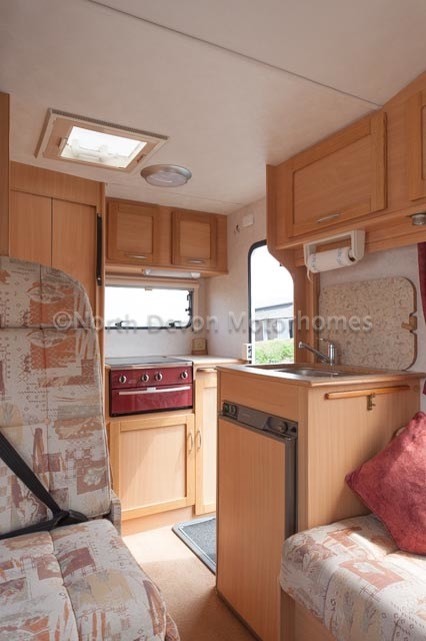 Roof light and windows providing ample natural lighting. Water: Fresh and waste onboard tanks. Windows: All double glazed units with nets and blinds. 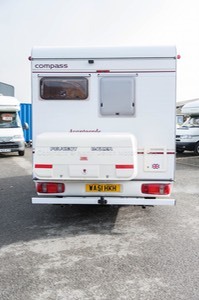 Electrics: 240 volt mains hook-up. 12 volt auxiliary battery with mains zig charging unit. 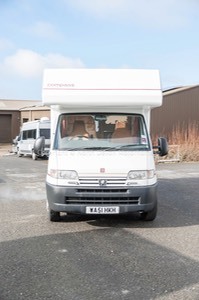 Summary: A fairly compact coach built motorhome of reputable build quality fully equipped with extras.